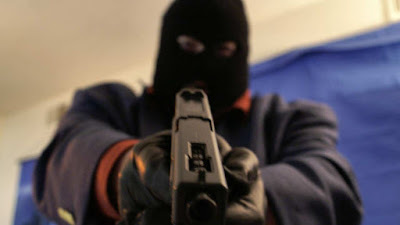 A two-man gang on Monday shot and killed a circulation representative of the SUN newspaper, Fabian Obi, in Onitsha, Anambra State. The incident was said to have taken place at about 10.25am. The attackers were said to have stormed the SUN newspaper’s office at the Old Market in Onitsha on a motorcycle. A SUN reporter, who pleaded not to be identified, confirmed the killing to a Punch correspondent. Punch correspondent gathered that the gunmen, after shooting Obi three times, stole the money from newspaper sales. The state Police Public Relations Officer, Nkeiruka Nwode, said the command was on the trail of the suspects, adding that they would be apprehended and made to face the law. While commiserating with SUN and the family of the deceased, she assured residents of the state of protection of their lives and property. It was gathered that the remains of the SUNman had been deposited at the Boromeo Hospital morgue.